Magic art is art that was made to create a material change in the world. There is a slight but important difference between pure energy art and magic art. 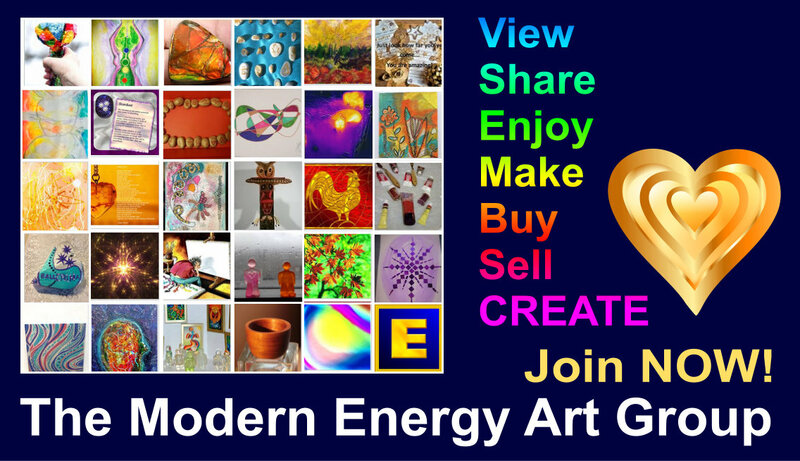 Pure energy art or energy art for short is designed to create a change at the energy levels. How or even if that affects the material world (i.e. if your physical health improves, or your bank balance, or what happens to your annoying neighbours) is literally "immaterial" - it is unpredictable, often very surprising, and usually far exceeds the limited ideas we have of what can be had, or how things come to be. Magic art, on the other hand, is about using energy to create a material change in the material universe. 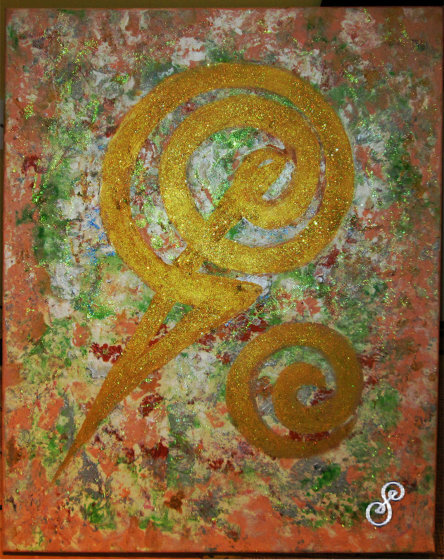 Healing art, for example, would fall under the heading of magic art, because a physical healing is being sought. Magic art is in essence a sub category of energy art. How do you make Magic Art? 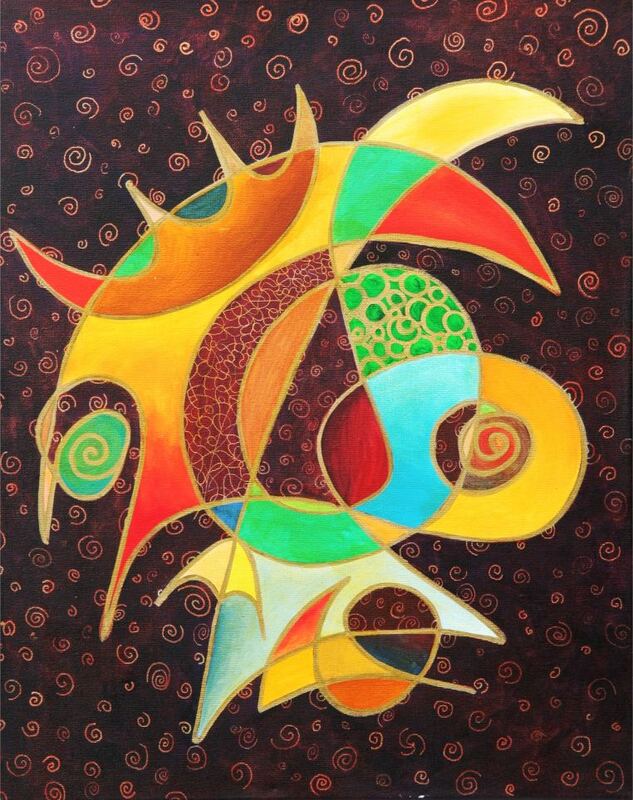 As in energy art in general, you use the Art Solutions process with a set up in order to create the work of magic art. For example, you have decided to create a piece of magic art that will draw more (physical! material!) riches into your life. The Art Solutions set up would therefore be to say to yourself, "Dear energy mind, give me something to create a piece of art that will draw more material riches into my life." What "comes to mind" is what you go on to create. And what you are creating is what we call a piece of magic art, or for short, an Art Spell. What does Magic Art look like/sound like/feel like? Well that depends on the artist/magician :-) An art spell can be a song, a poem, a dance, a painting, a sculpture, a collage, a totem (object collage), a grid/matrix/constellation. It can be a performance, a ritual - it is the individual answer to that set up which asked to be receiving a sension, a vision, "an idea" or a plan for the art spell you are going to create. An art spell or magic art can be as simple as a symbol, and as long drawn out with a cast of thousands as an operatic ring or a seven part full on studio movie series. Who can make art spells and magic art? Anyone who has enough connection to their own energy mind to receive an answer when they make the set up. All normal children under the age of 7 can do this with consumate ease. Some adults may need to re-learn or remember how to do this and require a bit of practice first. * An important note. When a person is stressed, the answers they receive are usually disturbed, distorted, chaotic and can be negative and frightening. The same person, on a happy day, will be able to make beautiful things of great power from a place of strength and love. Don't do art or magic when you are stressed. De-stress and re-energize first. That way you won't hurt yourself, or anyone else, with your art/energy/magic and benefit from it greatly instead. When you create a piece of original art, be this a drawing, a painting, a computer generated image, a song, a sculpture, a mini-sculpture such as a charm or pendant, a dance, a photograph, a poem, a story, a web page or a toy, you are bringing something into the world that has never been before.. It doesn't have to be clever, or complicated, or display any form of "master craftsmanship" at all - it just has to come from the heart, be created by your hands and with intention. This piece of original art will be unique in all times spent, in all the worlds, in all the dimensions. You are its creator, and you imbue it with your intention. That is an art spell and possibly the most powerful form of magic human beings are capable of. Do not let yourself become confused with the symbols of the ages; they are old and their time has been and gone. You are here and now; you are the power. Breathe deeply and take a moment to think about love, to remember what it feels like to love and to be loved. Allow yourself to be moved - this is the movement of living energy, of life itself in your body, in your heart and in your soul. Say out aloud, "Give me something that I can create today to bring more love into the world." Then let it come to you, let the idea, the vision, reveal itself. Accept what you are being given. Take your vision and shape it in reality, make it into an object that will exist now. Discover your power and your joy in the process. And be very proud of yourself. You have changed the world. Published Winter Solstice December 21st, 2014.